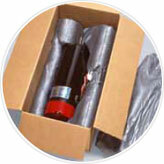 Foam in place packaging provides unique customized cushioning properties. 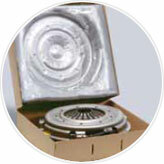 It is very versatile because it “molds” around the product being packaged. The insert is actually made from chemicals injected into a high density polyethylene bag. Once mixed together, they begin to foam up, expanding to surround the item and fill the outer container. 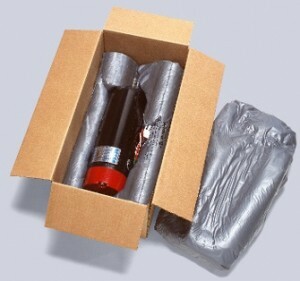 Foam in place is an ideal material for companies shipping many different configurations of fragile products . It fills the space fully with a customized cushion that molds itself around the product it is protecting – sharp edges, corners, odd shapes, and all. The product is securely seated in a pocket of protection. 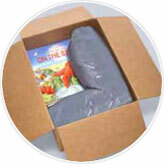 Foam in place packaging technology offers the highest degree of product protection available. It allows operators to work smarter and more simply for maximum productivity while reducing or eliminating damage expenses. And its small footprint maximizes space and cost efficiency, as well as increases consumer confidence. If you’re constantly trying to manage consumable usage, frustrated by unexpected equipment downtime, or annoyed about having to wait days for a technician, you’re not alone. The fact is that equipment is supposed to help make packaging easier, safer, more efficient, and keep your facility more productive. What is Foam in place Packaging? Today, the most cost-effective and time-efficient foam in place technologies are designed with the operator in mind, by simplifying the packaging process, reduce costs, and increasing productivity. Our foam in place products are “smarter” than the competition. The products we carry have the high quality foam protective packaging product of Instapak by Sealed Air, but are enhanced with the intelligence factor of Pregis. Described as “Foam in Place Systems with a high IQ,” separating itself from the mold by providing an innovative telemetry and bar-coding system. As basic as it might sound, these weren’t really a possibility until recently. Many facilities were using 20th century technology to package 21st century products because they were trying to avoid spending extra capital on upgrading their packaging. 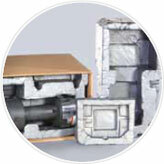 Our Foam in place systems feature the most cost-effective, time-efficient foam-in place packaging. technology in the industry. Only solutions offer the advantages of Foam in place with our 5 Degrees of Separation from the competition. 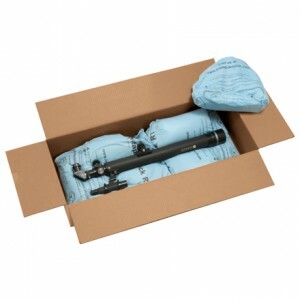 Do you know the fact of the matter is that nearly 10% of all packages shipped are damaged during transit. And, of those damaged packages, approximately 5% have product damage? Damage affects the customer. The buying experience dramatically improves when they open the package to discover products exactly as they are expected to appear. The SmartBAGGER is a foam in place packaging system that is ideal for high volume, medium to large applications that require protective packaging and packaging damage prevention . The SmartBAGGER is ideal for protective void fill, blocking and bracing products and cushioning during the shipping and handling process. Our SmartFOAM, SmartFILM, and SmartLUBE foam in place supplies deliver exceptional advantages that translate into long-term value. 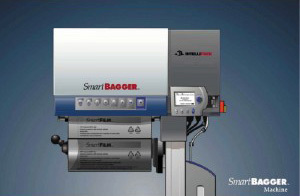 Safe, comfortable and intuitive to use, SmartBAGGER maximizes packaging line productivity and efficiency. 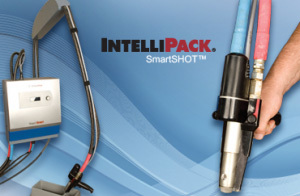 The SmartSHOT handheld foam in place system is designed for small, medium and large protective packaging applications that require both packaging protection and packaging damage prevention. 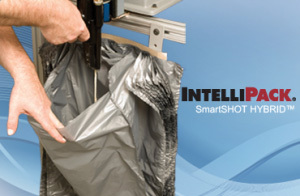 The SmartSHOT protects products with conventional or anti-static SmartFILM available in 36 and 48-inch centerfold and 48-inch flat film. A variety of SmartFOAM A/B chemical densities and SmartLUBE Foam in place supplies deliver exceptional advantages that translate into long-term value. The SmartSHOT Hybrid is an innovative cross between a handheld foam in place machine and bagger system. An affordable option with the same maximum foam in place packaging protection benefits, SmartSHOT Hybrid comes in multiple foam in place bag and stand dimensions to best tailor to your packaging needs. *Other bag sizes available upon request. Hybrid bag stand creates a hand-held/bagger machine all in one! 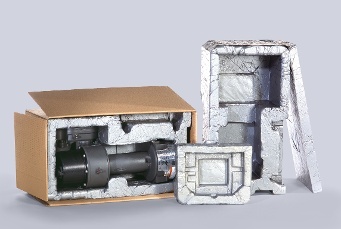 Instapak Quick RT foam packaging is a packaging alternative providing consistent, custom-fit protective packaging that requires no system or warmer. Instead, the Instapak Quick RT Foam Packaging is activated right out of the box by hand, at room temperature. This foam in place alternative is a quick, easy-to-use expandable foam packaging which virtually eliminates shipping damage. Smart shoppers spend where they trust performance. 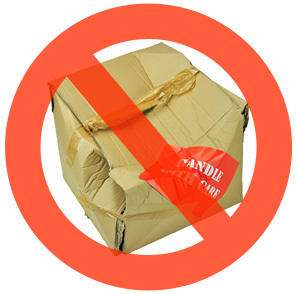 When undamaged packaging means undamaged goods, customers have a reasonable expectation for quality packing and shipping. We promise to provide "Foam in place Solutions with a High IQ." that offers state-of-the-art equipment and advice for design and testing of density, compression, tensile strength, and more. No up-front capital investment and minimal installation impact. Cellular telemetry lets the application systems monitor their own performance, tracking the use of consumables, and automatically reordering supplies to avoid costly downtime. Bar-coding lets operators deliver consistent packaging protection, even on diverse product lines, ensuring protection with the right amount of film and foam each application. User-friendly control panels, on-site training, and responsive customer service keep operation simple and learning curve short. System footprint and energy usage are low, and supplies can be stored simply and ordered automatically to limit storage space. You want someone who will work on your behalf. So, rest assured, we have our customers at the forefront of every thought and we treat every customer like they are the only customer. We start by performing an on-site assessment of your current packaging and logistics operations to help identify the costs and inefficiencies that are plaguing your high-volume operation. You probably know that there are issues; let our dedicated professionals, with dozens of years of industry experience, tell you exactly what those issues are. From there, we can help assess the right way to solve those issues. 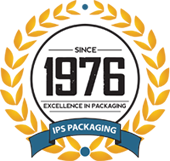 With design labs and highly trained packaging engineers on staff, we will work to identify specific technical requirements for your applications and develop custom packaging solutions based on comprehensive needs analyses. 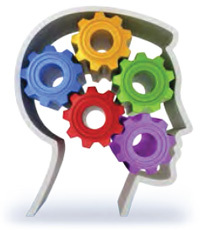 It will be science and math – engineering at its finest – that provide the right solutions to your on-site problems. Once we’ve determined the right solution, our training team will work directly with you to ensure that your packaging operations are back online quicker and more productively than ever before. We've given you the basics, and you're well on your way to making some very smart decisions about damage prevention. Now is the time to dive deeper with one of our dedicated and knowledgeable Product Specialists.